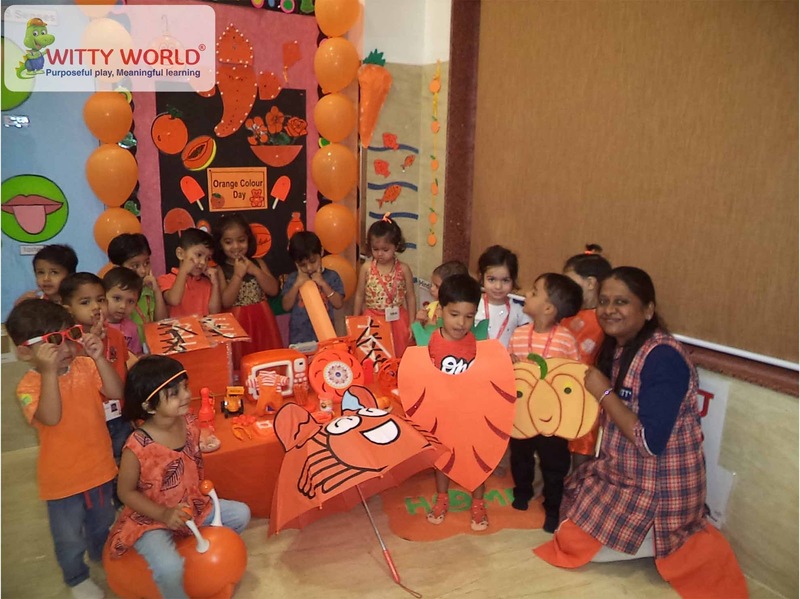 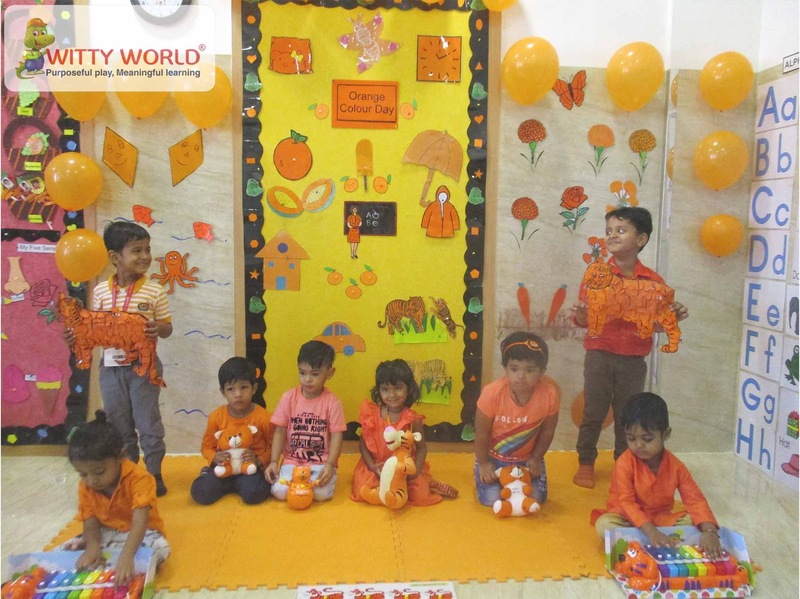 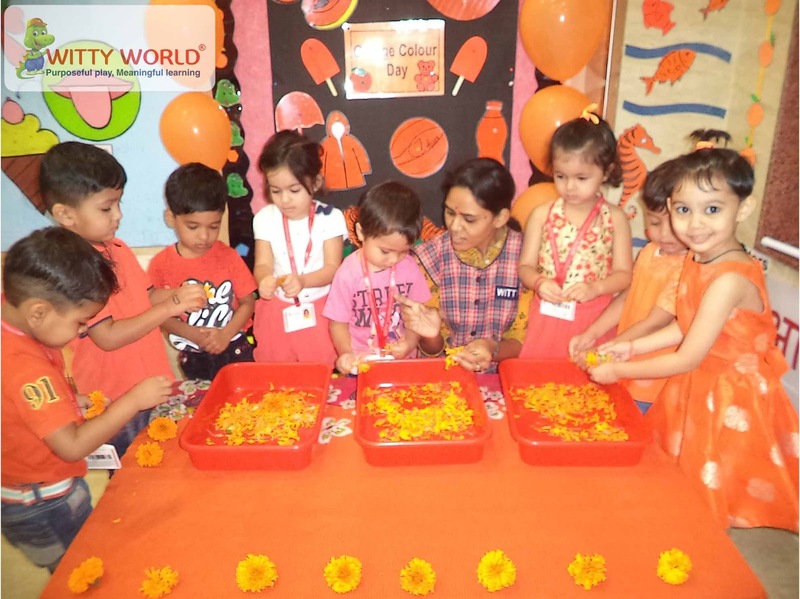 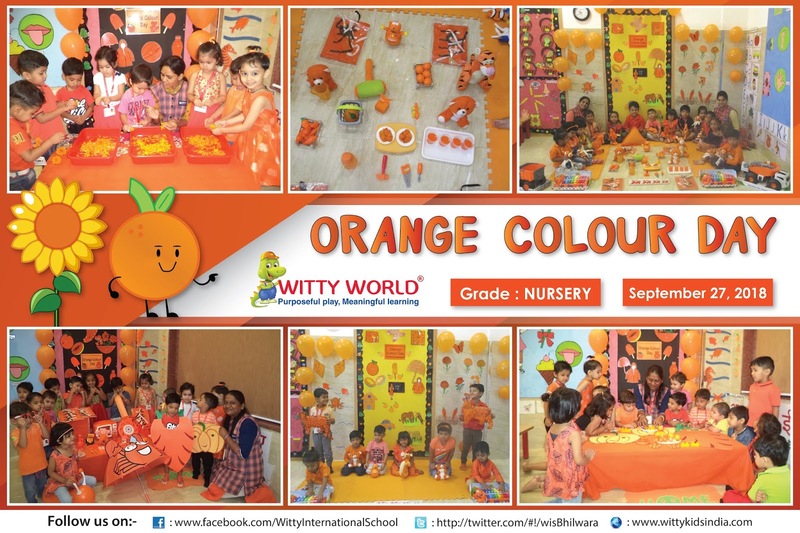 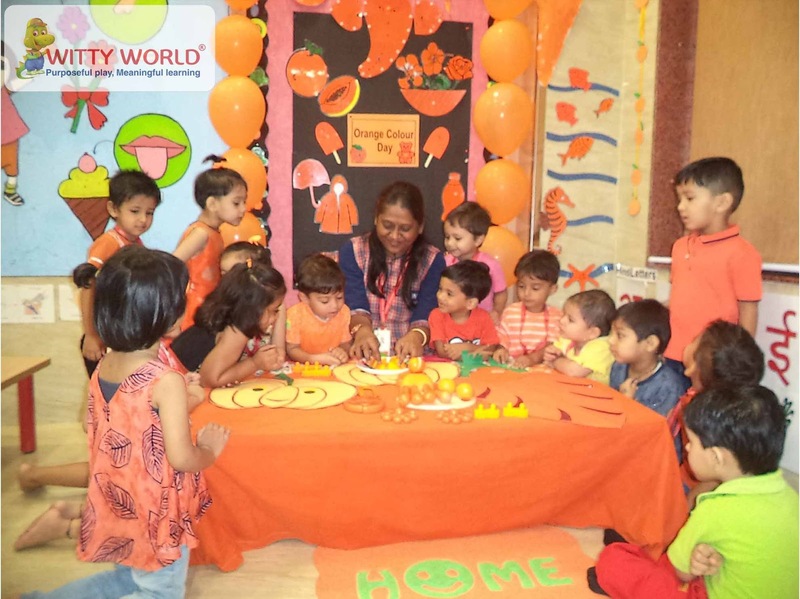 Children of Nursery class, Witty World, Bhilwara celebrated Orange colour day on Thursday, September 27, 2018. 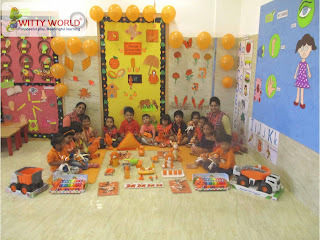 Children and teachers came dressed in Orange colour clothes. 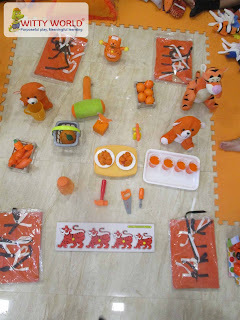 Class was decorated with Orange colour balloons and objects. Children also brought their favourite Orange colour object. Teacher showed the formation of Orange colour by mixing red and yellow colour. Through this activity the children could recognise orange colour.